Caponata is an Italian dish whose name derives from the Catalan language. The dish is available in at least 30 most popular versions, and the less known ones are innumerable. The base of caponata goulash is made of eggplants, flavored with ripe olives, fragrant celery and sweet raisins. 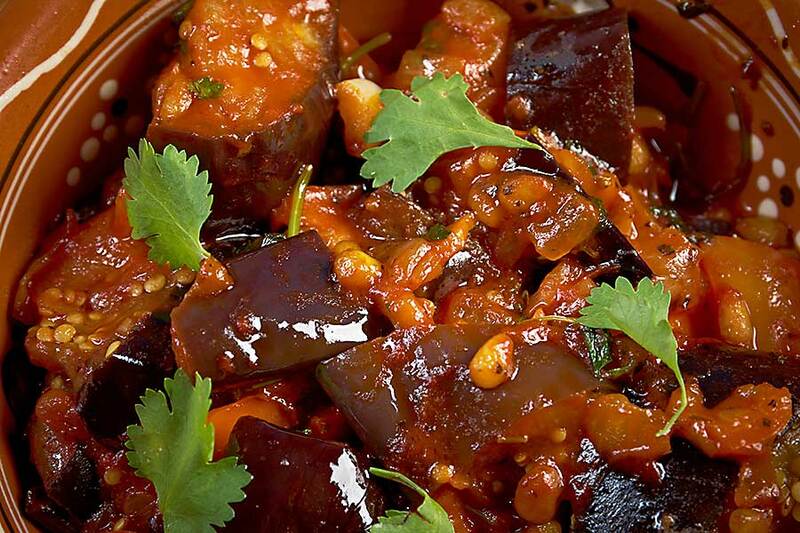 Caponata is a very characteristic dish in taste. Goulash is both sweet and slightly sour. All thanks to eggplants, which is a mixture with the other ingredients gives a very interesting composition. 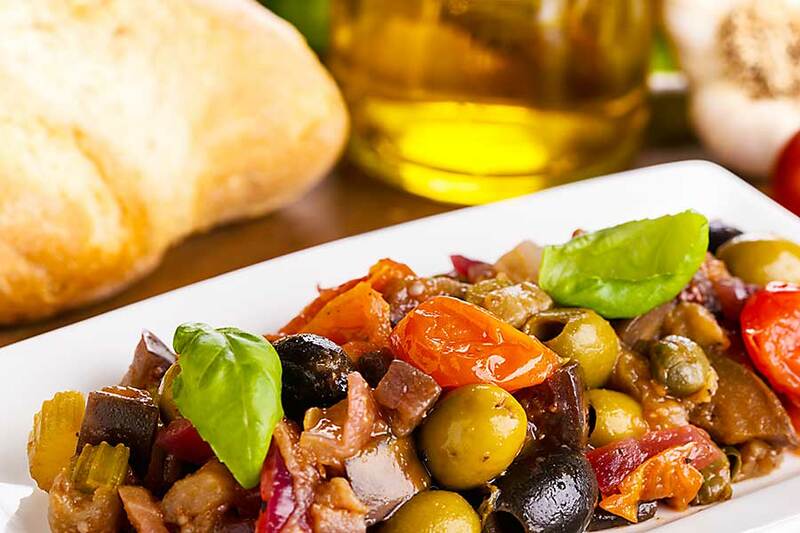 The caponata also includes tomatoes ripening in the sun, anise, raisins, green olives, celery, capers and excellent balsamic vinegar. It is worth mentioning that the dish is an aphrodisiac, because eggplant – called a pearly of love – is attributed aphrodisiac. The dish is available in countless versions. One of the most interesting is caponata Palermo or goulash with the addition of octopus. In Sicily, the dish is often served with lobster or prawns. Caponata can be served both cold and hot. The hot dish is served with rice and cold with bread. It is also popular to administer caponata directly on bread. The dish is usually served as a main course, and due to the meatless composition, it will be great with minestrone with the addition of chicken. 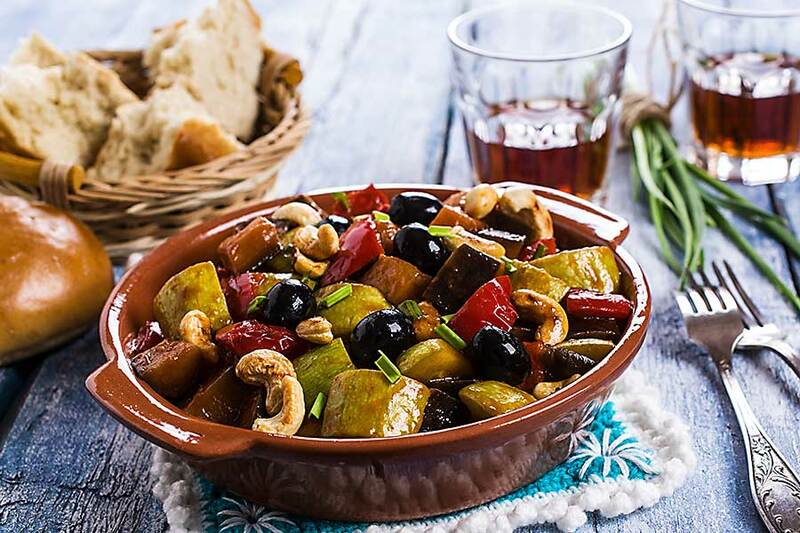 How to prepare a caponata? The vegetables are fried in olive oil and then stewed to a softness in their own sauce. At the end, they are seasoned with pepper, salt and anise, and the dish is ready. However, proper frying is important. Vegetables must be thrown into the pan in batches, because each of them needs a different length of frying. The composition of caponata must also be quite a lot of tomatoes, because goulash is to be bathed in a tomato, thick sauce.